More than 40 years after the war on drugs began, illicit narcotics and marijuana remain readily available in our communities. Even as the number of arrests for simple drug possession skyrocketed and the United States experienced a sharp rise in prison populations, the prices of illicit drugs fell due to their availability. The United States spent more than $1 trillion to combat illicit drugs between 2000 and 2010, but drug use remains at an all-time high. Americans have taken notice of the failure of the war on drugs. In August 2013, Rasmussen Reports found that 82 percent believe the United States is losing the war on drugs. Only 4 percent say it is winning. It is clear that the "lock 'em up and throw away the key" approach to punishing illicit drugs use is not working. The United States represents 5 percent of the world's population, but 25 percent of its prisoners. Our incarceration rate, 707 per 100,000 residents, is higher than that of China, Russia, and North Korea. At the state level, in 2011, 16.6 percent of offenders were admitted for drug crimes, according to the Bureau of Justice Statistics. At the federal level, in 2012, more than half were incarcerated for drug offenses. Including all levels of government, incarceration costs Americans $80 billion annually. Certainly, those who commit heinous, violent acts deserve to be in prison. But many offenders are low-level, nonviolent offenders whose time would be better served in drug treatment, job training and education programs while they are in prison, this would reduce their risks of becoming a repeat offender. By disrupting the cycle of crime, policymakers can reduce long-term prison costs, producing savings that can either be reinvested into other aspects of public safety, such as funding law enforcement, or to reduce the tax burden. Several Republican states that had previously enacted costly "tough on crime" policies began to reexamine their approach as corrections costs began to consume large shares of their budgets. The poster-child for these reforms is Texas, which, in 2007, began a significant reversal from the past in favor of an innovative and "smarter" approach to dealing with crime. The Lone Star State's prison population had grown dramatically. From 1990 to 2010, the state's incarceration rate increased by 122 percent. Lawmakers were faced with $2 billion in costs to build new prisons to house the growing inmate population. Rather than continue the unsustainable status quo, lawmakers found a better way. They appropriated $241 million on programs designed to rehabilitate offenders and established drug courts. The reforms were a resounding success, as the rate of repeat offenders (recidivism) dropped by 11 percent. "For Texas, the 11 percent drop meant that 1,212 fewer felons came back to prison -- one of several reasons the state's prison population has continued to decline. Most other states' prison systems are a fraction of the size of Texas'," Governing noted in September 2012. Even a small drop in Texas' recidivism rate can mean big cost savings for taxpayers, as prison costs continue to spiral." As a result, Texas not only scrapped its plans to build new prisons, but the state also closed three prisons. Even while the state's prison population dropped by 12 percent by 2013 as a result of the reforms, according to Pew Charitable Trusts, crime rates fell by 21 percent. Yes, a state can have a smaller prison populations, save money, and make communities safer. "With comprehensive and serious reforms, we were able to avoid massive expected prison population growth and create a new mindset about criminal justice in Texas. Instead of throwing money at the problem, Texas made the system more efficient and effective," wrote former state Rep. Jerry Madden (R-Plano), who spearheaded the reforms in the legislature. "To date, the state has saved taxpayers an estimated $3 billion and Texas has its lowest crime rates since 1968." In 2011, Georgia's new Republican governor, Nathan Deal, saw the success in Texas and sought to replicate it in Georgia, which was similarly burdened by the high cost of corrections. The state, under Deal's leadership, reformed its mandatory minimum sentencing statutes to create a "safety valve" to allow judges more discretion when dealing with low-level, nonviolent offenders, offered rehabilitative programming for eligible offenders, and overhauled its juvenile justice system. Prison populations declined, crime and repeat offender rates dropped, and Georgia saved money. As a result of Georgia's success, The New Republic opined that Deal "is leading the country's most successful prison reform." Other, mostly Republican, states have implemented their own reforms, ranging from modifying mandatory minimum sentences, such as Oklahoma, or, as Alabama has done, offering eligible low-level, nonviolent offenders programming to reduce their risk of going back to prison down the road. 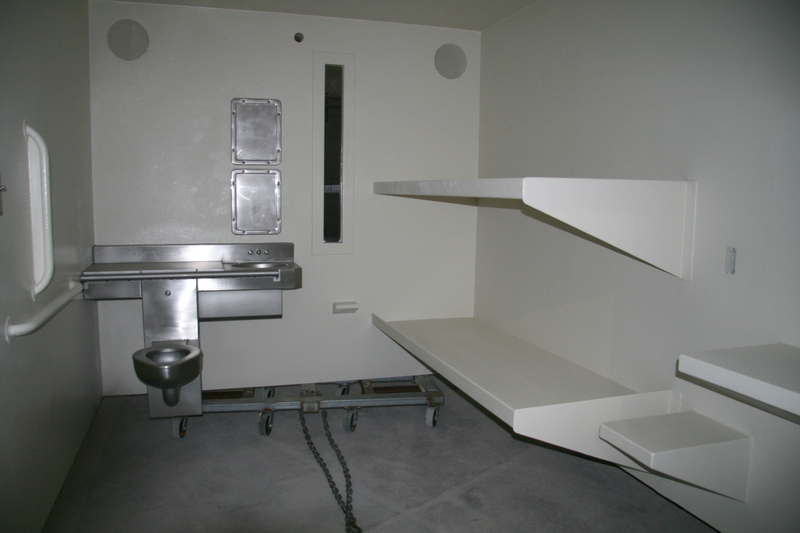 Justice reform allows law enforcement and the corrections system to focus its efforts and prison bed space on the most serious offenders, especially those who commit violent acts. While an initial appropriation may be necessary to implement programs designed to reduce an offender's risk of reoffending, the budgetary savings will come and communities, as the cycle of crime is disrupted, will be safer.